MachineSense is a disruptive technology company with strong roots in the machinery and manufacturing sector. The company offers IoT solutions for smart manufacturing including 24×7 machine health monitoring, energy saving & optimization, product quality control utilizing industry 4.0, productivity analysis, public safety monitoring and industrial safety monitoring. In an interaction with EFY bureau, Biplab Pal (PhD), Founder and CTO of MachineSense LLC, talks freely about the role of government in IoT deployment, initiatives to make India an IoT superpower, key segments driving IoT demand, MachineSense’s unique proposition, how is it different from competitors and a lot more. Both yes and no. Yes, because connected devices have been in existence since 1970. But what’s happening now with connected devices and algorithm is truly unprecedented in the history – both in scale and potential. If not for system functionality, at least for revolutionary growth that we are seeing in the area of connected devices, we must have a name. And IoT does serve that purpose. IoT is opening a lot of new market. However, there is a difference between a marketplace technology and what NASA can afford. The connected devices were available only to a number of selected high-end industrial systems. It was not ubiquitous and democratised because enabling technology was not available. Hypothetically, even if similar technology could have been developed even 20 years back, cost would have been exorbitantly high and thus it wouldn’t have made any business sense. Even today, many IoT pilot projects are failing because they don’t make any good return on investment (RoI). I will give you two examples from two different domain. Placing a vibration sensor and making that data online is nothing new. But the system would require expensive sensors and services of an expert. Now with cheaper sensors and automatic algorithm in cloud or in edge, we are offering automatic machine diagnosis at cheaper cost. Another example is from structural engineering. Basic techniques and algorithms have been developed since 2004 for monitoring bridges from active load (like a moving truck). But even today, Structural Health Monitoring (SHM) didn’t get much momentum because of lack of cheaper sensors. It’s just getting some heat due to bridge failures in India. But cost is still a road blocker. IoT could do a lot for public safety. The Government of India initiated a lot of programmes but almost all of them failed because the way GoI operates, when it comes to implementation. To avoid bridge failures, sensor systems are becoming an integral part right now in many of the new bridge constructions. But the way tenders are quoted, is totally ridiculous. A successful IoT for SHM required finite element method (FEM)-based simulation of the bridge and then accordingly right sensors at right places have to be placed. Otherwise, just placing the sensors will be useless. But that’s exactly what is happening. Money spent but there are no tangible results. Why? Because in GoI tenders, there are certain specifications, and the delivery of the project will be according to those specifications. This can’t work in case of an emerging technology. Same thing happens with many government organisations. They have started a lot of IoT initiatives and neither has delivered any tangible result. On the other hand, there is a rampant corruption, right from the generation of tender to its granting. You can’t just build an IoT system within so much of bureaucracy and corruption. Smart city projects are good example. However, for this also, some big firms get the contract. Then they subcontract to medium-sized firms. Then they look for start-ups who can deliver free proof of concepts (PoCs). The whole thing is becoming a joke. Money that is supposed to be invested for IoT R&D is lost in commission and bribes. GoI can look into the example of Obama administration’ Open Data project. The idea here is no tender but a contest. GoI must not go through the tender route that is rotten beyond reproach. They should float contest of small pilot and invite start-ups for the contest. Let the best team win the pilot and provide them money to build the entire system. They will do much better job. Instead, the government is taking a route where all the money allocated for IoT have gone into pockets of middlemen. And thousands of IoT start-ups in India have suffered. That’s the true reality. Q. What are your expectations from the GoI in terms of the initiatives they should take to make India an IoT-super power? The government can play two roles. Firstly, it invests into IoT via smart cities, smart agriculture etc. Secondly, it can pass regulation to enforce more sensor-based system for bridge safety, fire safety etc. In the first one, I don’t see much hope. The government projects go to large players and syndicates, who know how to operate with government by bribing the officers. So, let’s not hope anything good from that. In the second one, government regulation can do a lot of good for IoT as well as for people in general. But even that is a slow process. Again, let me cite two examples. National Highway Authority of India (NHAI) wants IoT-based SHM. But they can’t because Indian Road Congress (IRC) code doesn’t mandate that. And there is no plan to push such IoT system in IRC code. Second example is from pollution control. The present government under Prime Minister Narendra Modi has a lot of good ideas. One of them was Swachh Bharat Abhiyan. Around 2500 factories received closure notice for pollution. They needed to install air pollution sensor stacks at the factory location. But nothing has moved beyond policy statement. The implementation has been very weak and slow, because then inspectors won’t make money. Not at all. As I explained, India needs more IoT than any other country. In the past few months, we have seen five major fire breakouts in market places across Kolkata. In each fire, average of Rs. 100 crores of goods have been burned. With any power quality IoT system (we have one as well), one can take a lot of preventative measures. On this, I had requested the government many times, but there is no listener. I can say, it is heating up a lot now, despite many failures of pilot projects. What you see in the next 2-3 years is highly speculative, but I can see couple of areas will be winner. There will be a major thrust of IoT on public safety, followed by saving water and energy or sustainability solution. I think manufacturing will lag, whereas IoT in healthcare will take more time. Public safety and sustainability will be the first target as there is an immediate benefit. Industrial IoT will see slow but steady growth. For us, acquiring talent is the biggest problem. We run a big internship program as lateral entry doesn’t do too well in this new area. Acquiring customers for PoCs is not an issue. But getting them to build a full scaled product is an issue. Q. What is the estimated revenue of your biz that you’d attribute to IoT-related business? 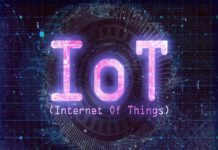 What fraction of your overall business is the IoT-related business? We are an IoT start-up and our 100 per cent revenue is from IoT. However, we won’t disclose our actual revenue but all I can say is we are in revenue ramping mode. We are estimating huge annual growth in the range of 200-400 per cent. We offer vertical product, platform and service in IoT. What we offer is already unique. We have an IoT platform for vibration and current signature analysis, using which our customers can solve a large number of engineering problems. Besides, we are running a big IoT system for the last three years and have numerous automation tools for IoT management, especially for those who are managing a large number of sensors. We are selling those as well as IoT plug-ins. We have applied for 20 US patents, and couple of them have already been granted. Our innovation centres around how to reduce cost of edge computing and making analytics cheaper and automatic. We believe analytics is anywhere and for anyone. We are focussed on signature, coming from things (vibration, gyroscope, temperature, magnetic field, voltage, currents, etc). Other aspect of our innovation includes how to deploy an IoT system out-of-the-box within 5 minutes and then maintain automatically using bots. This means one can run our system locally as well as on cloud. We have a simple colour code visualisation for high school dropout maintenance crew as well as advanced expert platform for PhD level data scientists. For OEM clients, business team takes the lead. For direct users (retrofit type of IoT), it is totally a technical team. To be honest, I find none. Steel plants have been running a lot of connected sensors for safety, for the last two decades. If you call that IoT that is the only thing works at a very high cost. Now smart metering is coming up to reduce frauds. You can say this a success story as well. However, everything has failed in agriculture. Smart city projects didn’t do much for the people. India is no exception. Except for China, other countries are far behind in actual IoT implementation. Clients always come up with an issue or problem. They don’t say they need IoT solution. IoT is a framework over which we deliver the solution because it makes it cheaper. Q. What’s unique about your solution or your firm for them to opt for it, vis-a-vis competitors? We are in the IoT space since 2012. We are one of the earliest companies in this area. Since 2015, we have been deploying and maintaining a large base of sensors. Therefore, we know pain points of maintenance of IoT system in scale and already innovated a large number of tools to automate the support system. We have many Fortune 500 companies as our clients, who have abandoned large system integrators (who developed their first gen IoT) and turned to us for a more cost effective and practical system that is maintainable. We are leveraging our experience of production grade IoT system for others. There is a huge difference between a pilot vs a system of thousands of sensors, deployed anywhere in the world.